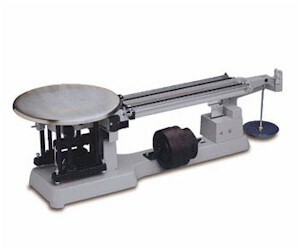 The Model 1119D Heavy Duty Solution Balance is a dual beam mechanical balance with a maximum capacity of 20 kilograms and a readability of 1 gram. A dual-faced Indicator Plate allows front and rear weighing. The base and beam are constructed of cast aluminum and finished with a durable epoxy powder coating which is resistant to commonly used acids.